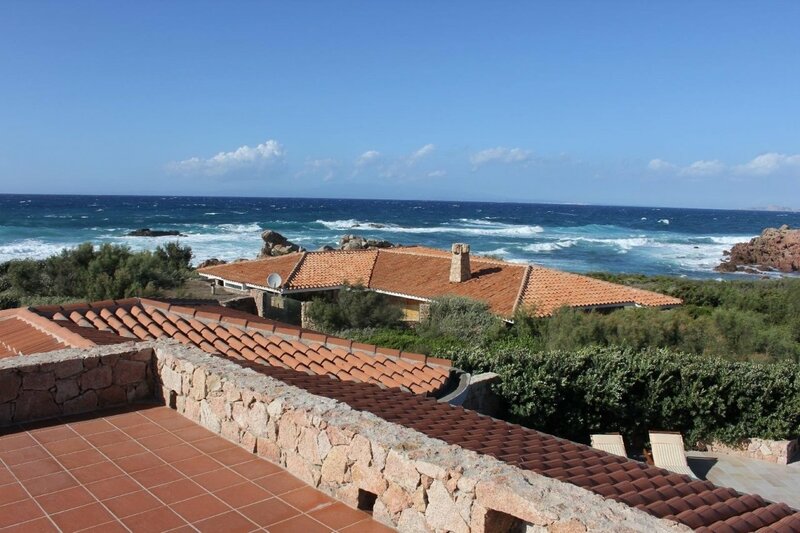 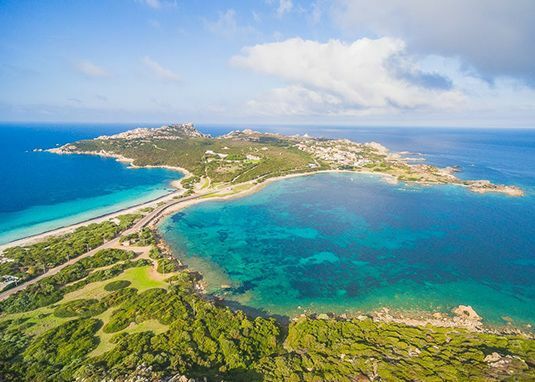 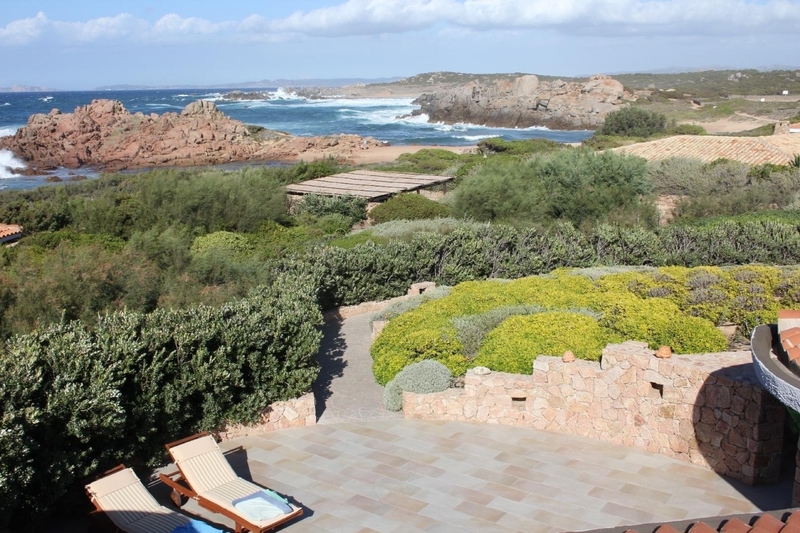 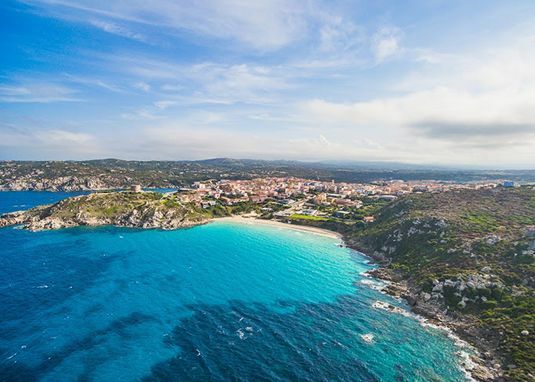 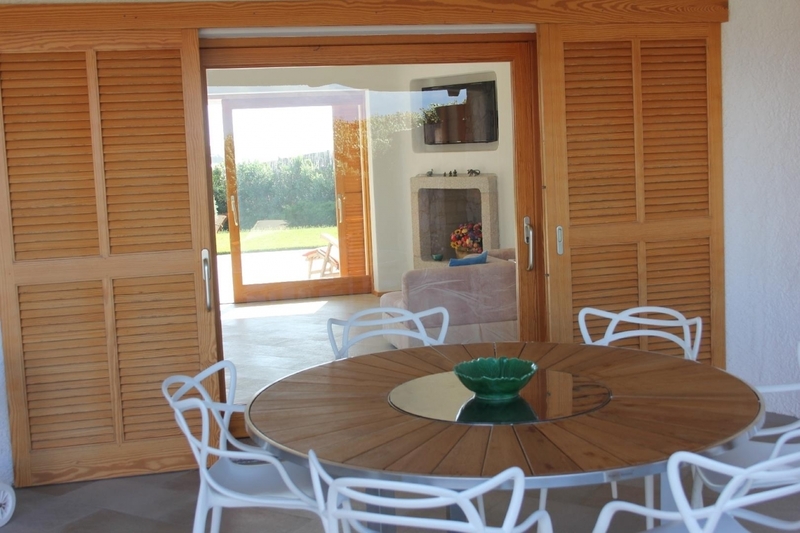 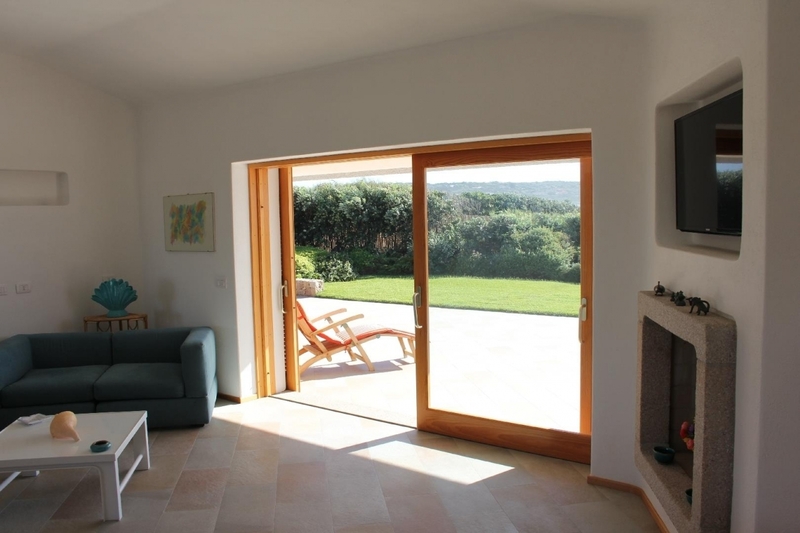 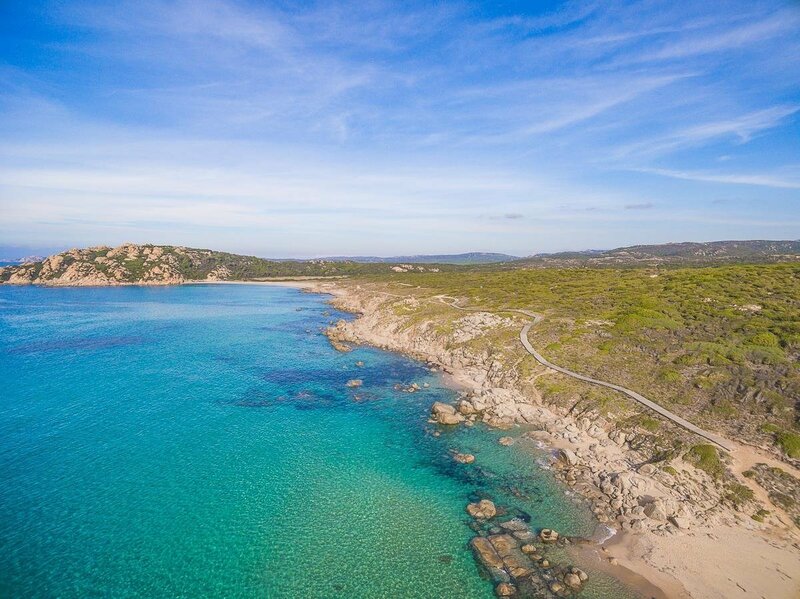 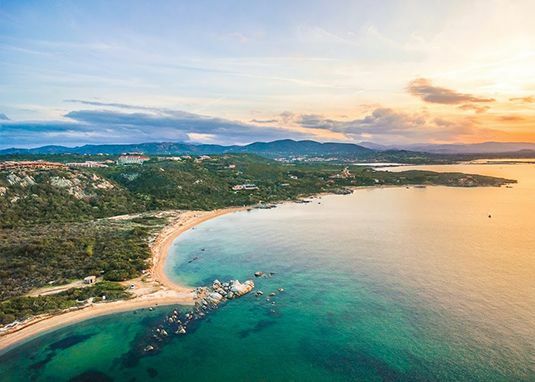 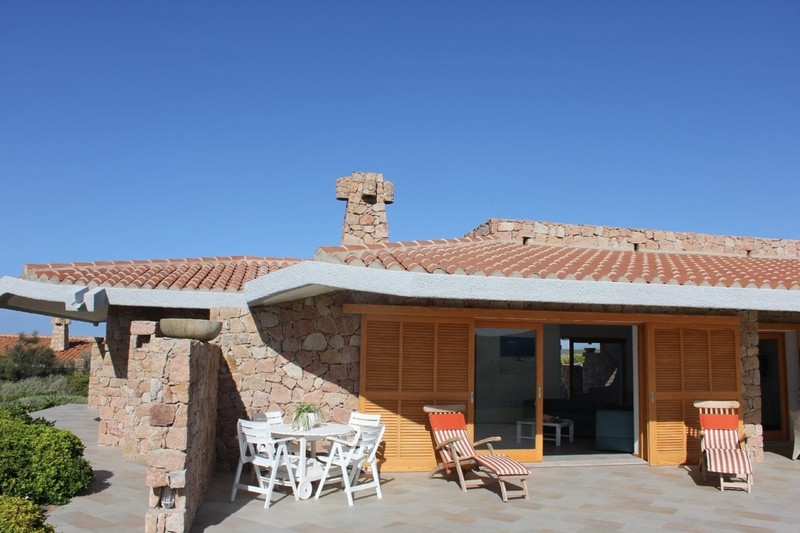 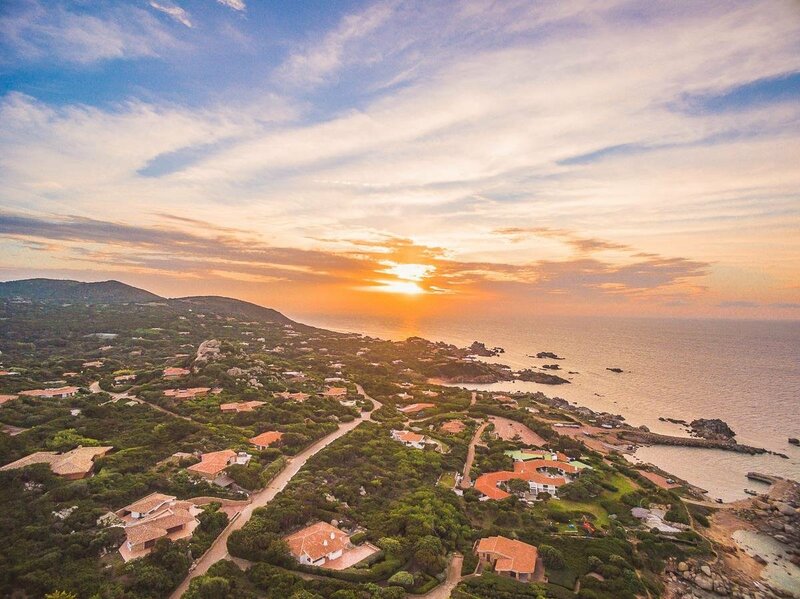 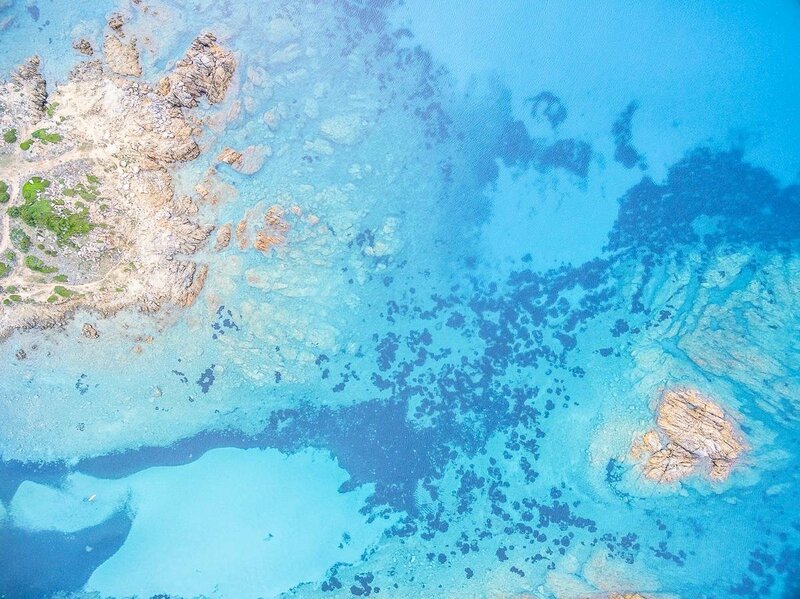 Just 20 meters from the picturesque beach of Portobello di Gallura lies Villa La Romantica. 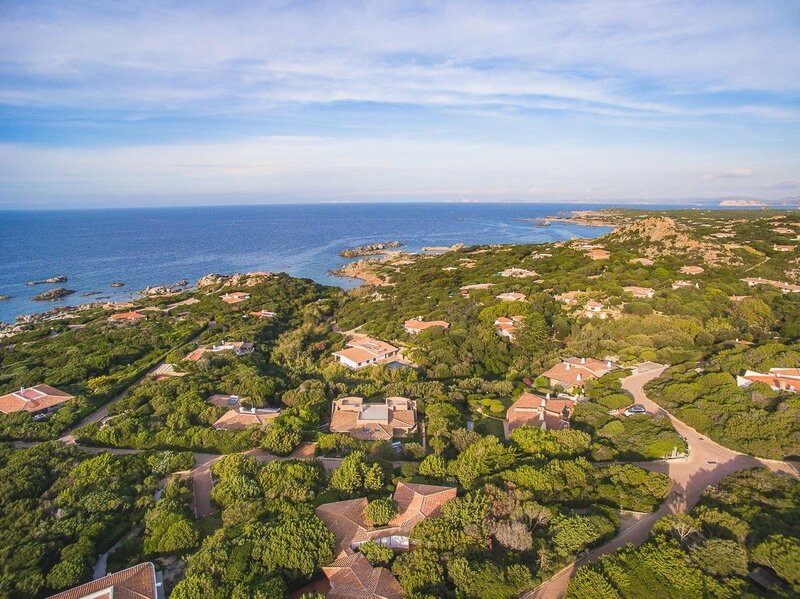 Newly built, this beautiful pieds dans l'eau villa enjoys an outstanding location, made even more particularly from the large living room with a fireplace, opening both to the east and west, offering spectacular views of dawn and sunset. 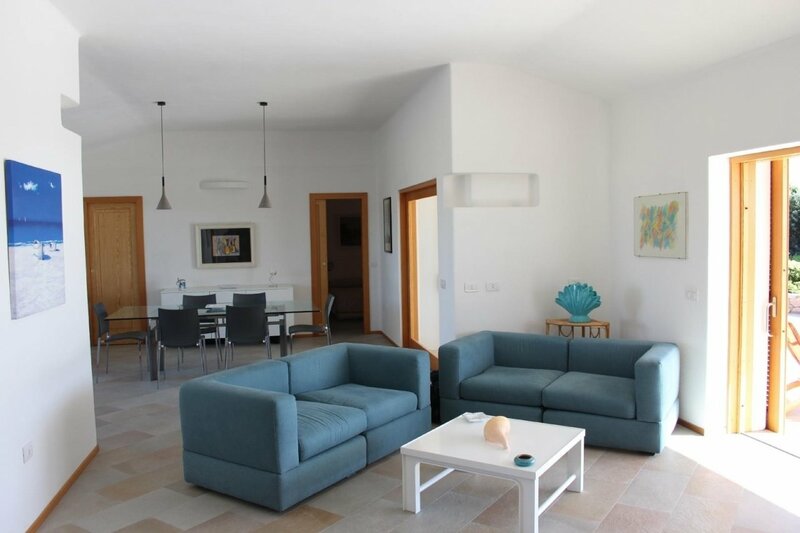 Villa La Romantica features a bright living area with living room, dining area and kitchen. 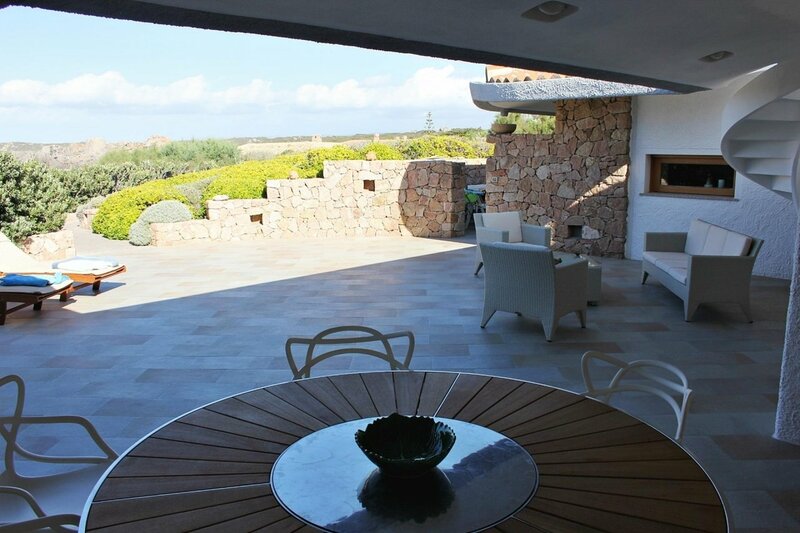 The 4 bedrooms all with en-suites are located laterally with respect to the living area and all boast openings on the terraces and on the outside. 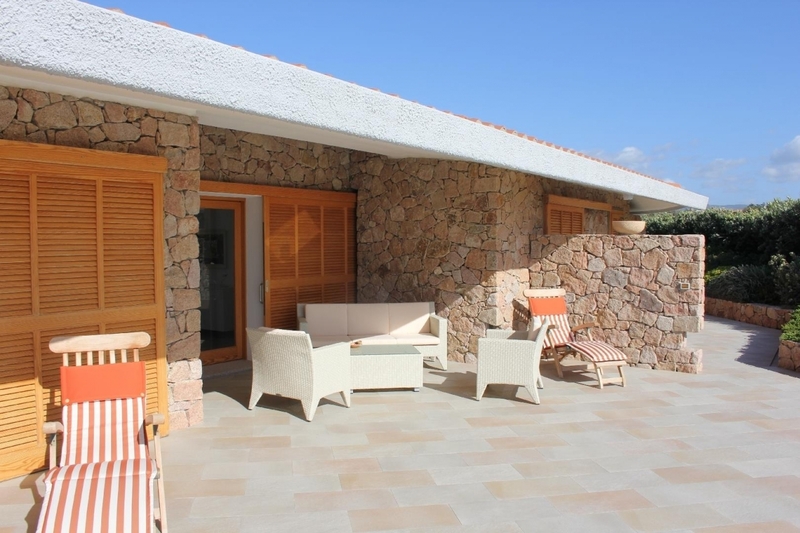 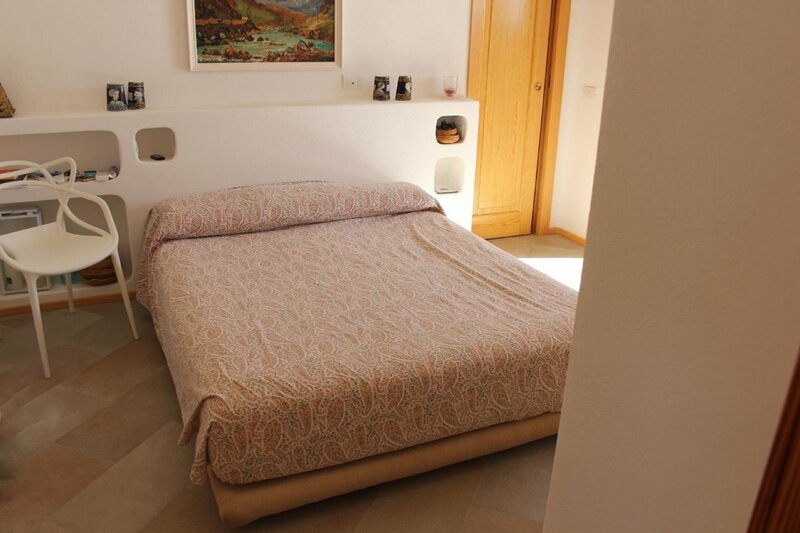 The villa is completed by a garage and an outbuilding, where there are an ironing room and another room with bathroom, used as a room for the staff. 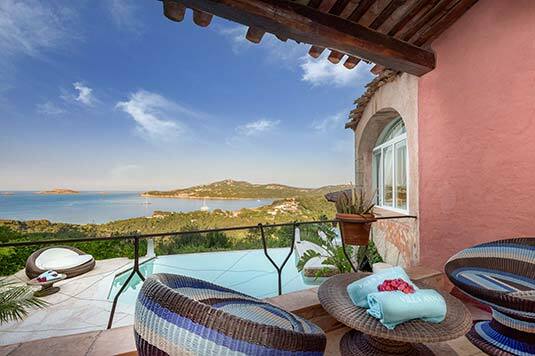 Furnished with taste and elegance, but without losing sight of the functionality, the villa is surrounded by a large and lush garden with Mediterranean maquis and boasts spacious and comfortable outdoor living areas, porches, terraces and a magnificent terrace, ideal for relaxing moments outdoors, for quiet chats with friends and for the carefree fun of the smallest. 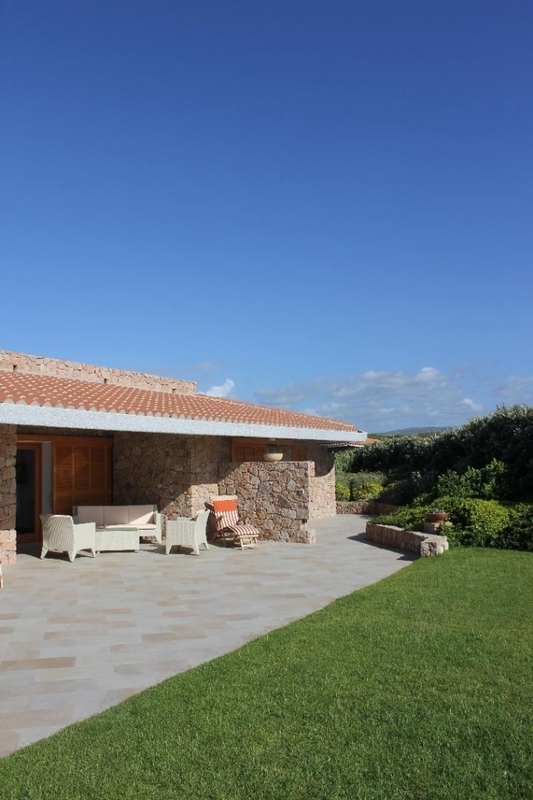 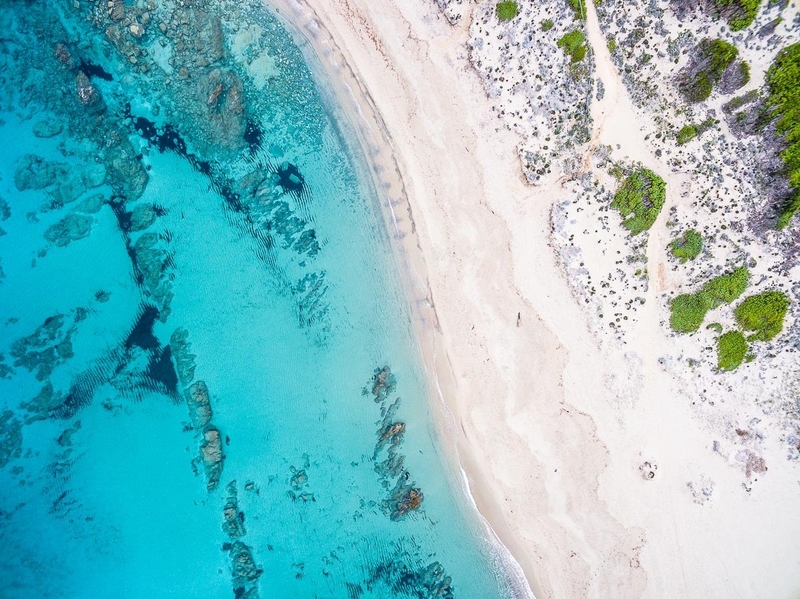 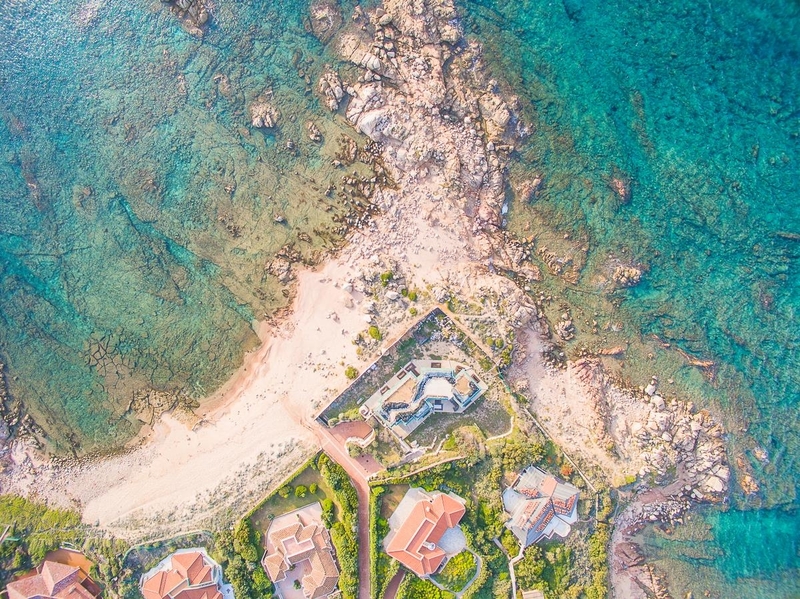 Designed to offer an unrivaled combination of convenience, comfort and elegance, Villa La Romantica is a delicate touch of pink in the charming harmony of green and blue of Sardinia.